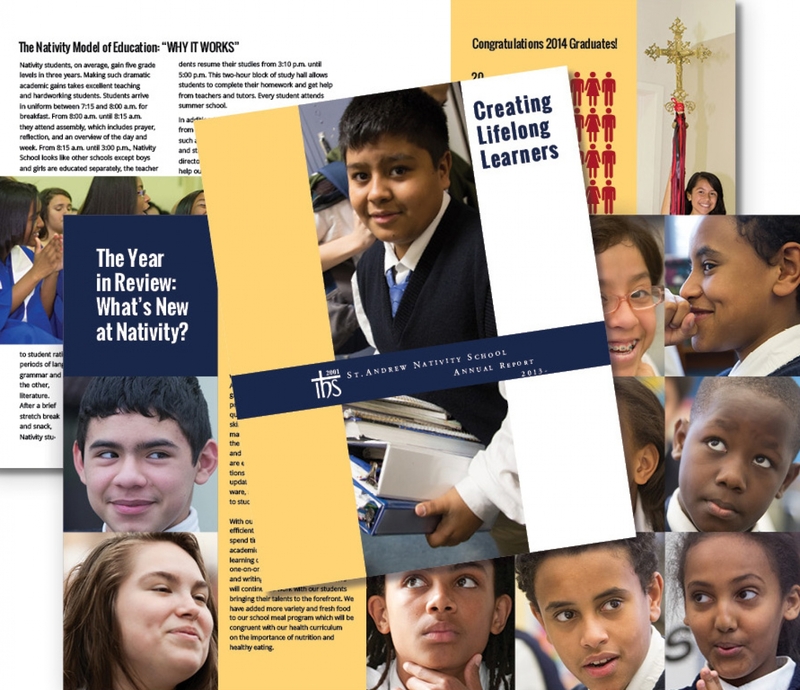 Since 2001 a select number of fortunate preteens, living below the poverty line, have been given the opportunity to be educated at St. Andrew Nativity School. Working from 8:00 am to 5:00pm, kids improve between three and five grade levels in the three years they are at Nativity. 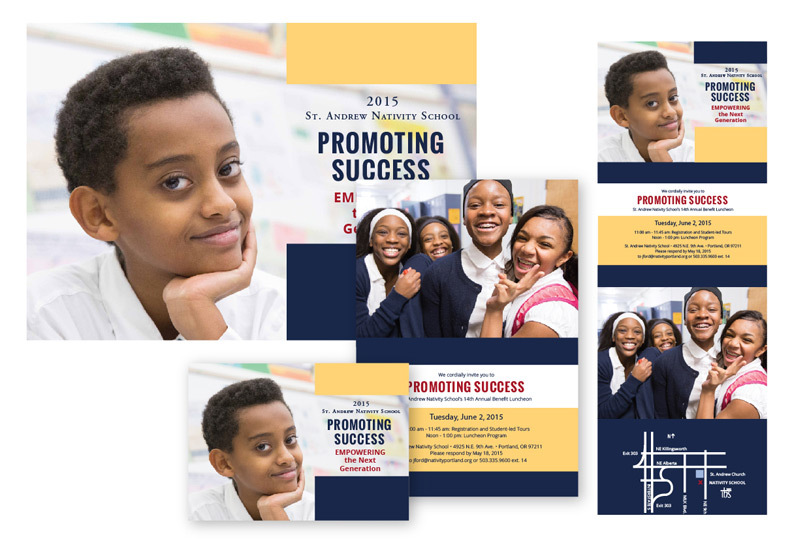 Operating on grants and donations, Nativity’s materials have been designed to get “up close and personal,” showing donors the students they help. Establishing a unified look, took years of patient effort and consistency. To save money, templates, paper and envelop sizes set boundaries for design work. 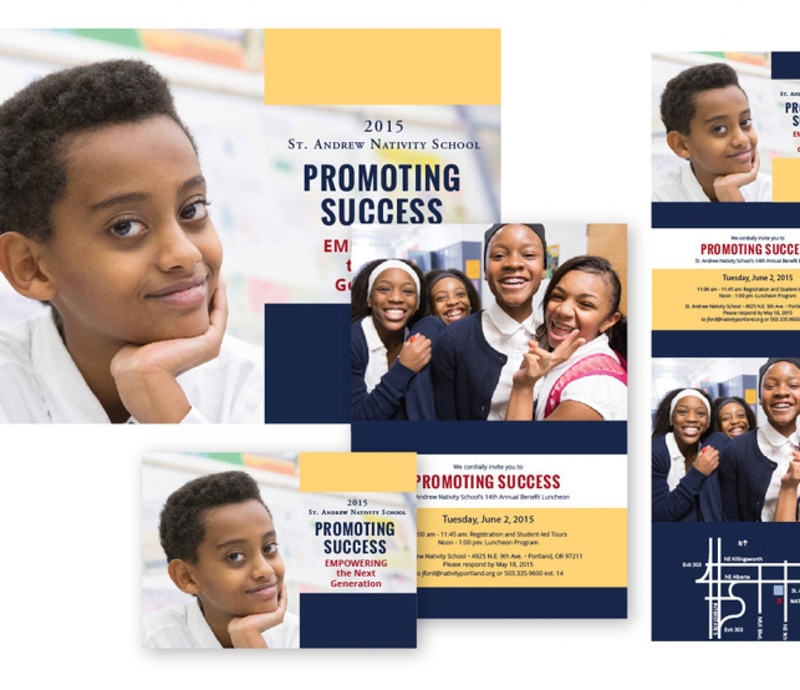 Over the years, Nativity’s marketing materials have won consistent favor with donors helping boost financial support. 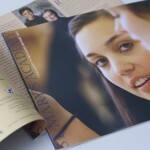 Gatens Design has been a valuable partner to St. Andrew Nativity School for a number of years. 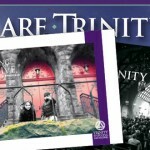 Karen is easily able to capture the spirit of our school and make it come alive in print material. Her attitude, easy to work with nature, and flexibility make Gatens Design a smart choice every time.